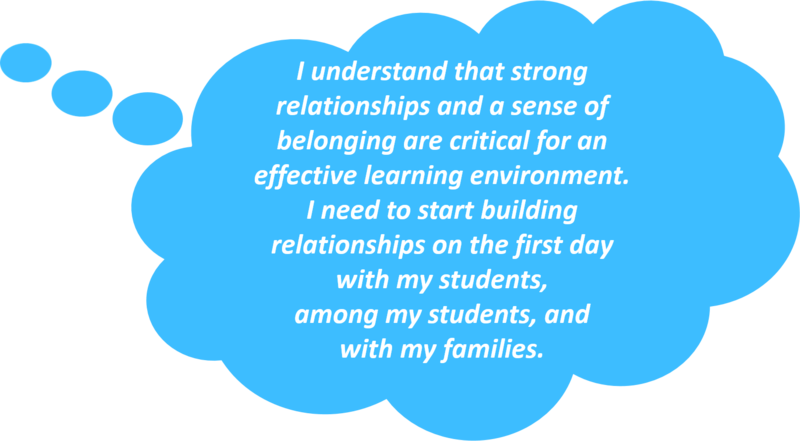 The learning climate must include positive personal relationships that enhance development through meaningful conversations, and a sense of care for the whole student that goes beyond academic concerns. The nurturing classroom meets the holistic needs of students – social, emotional, physical, intellectual and spiritual. “Positive relationships are opportunities for students to create a sense of self, identity, and belonging while learning about the world around them” (Saskatchewan Ministry of Education, 2009a, p. 3). • foster positive interactions between students (buddy reading, strategic groupings, big buddies, etc. ).